The leading pan-European conference and exhibition opening up international business and learning opportunities for the wind industry. 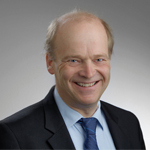 Hans-Dieter Kettwig has been the Managing Director of ENERCON GmbH and other subsidiaries since 1997. 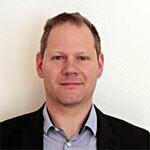 He graduated with an MBA degree [Diplom-Kaufmann] from the Emden University of Applied Sciences. Following a brief tenure as an executive assistant in a Hamburg-based company, he joined ENERCON in early 1988, where he was in charge of all commercial matters and later promoted to Managing Director. Henrik Stiesdal is one of the pioneers of the modern wind industry. Stiesdal built his first small wind turbine in 1976 and in 1978 designed one of the first commercial wind turbines, licensed to Vestas in 1979. Stiesdal worked as consultant for Vestas until 1986, in parallel studying medicine, physics and biology at University of Southern Denmark. 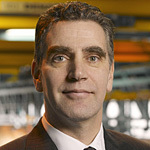 Stiesdal joined Bonus Energy, later Siemens Wind Power in 1987, as design engineer. In 1988 he was appointed Technical Manager, and in 2000 Chief Technology Officer. 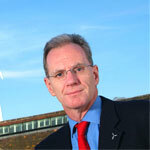 During his career Stiesdal has worked with all aspects of wind turbine technology. He has been awarded almost 200 patents. Dr. Mike Anderson is the Group Technical Director of the Renewable Energy Systems (RES) group, a leading developer, constructor, owner and operator of wind energy projects throughout a number of different countries. Following a Physics Degree from Nottingham University he obtained a PhD from Cambridge University for his pioneering work on the aerodynamics of wind turbines. In 1982 he joined Renewable Energy Systems Ltd. He is currently Group Technical Director with specific responsibility for overseeing wind speed assessment, layout design and energy yield analysis along with R&D. Michael is Associate Professor and Head of the Offshore Wind Turbine Technology group at the Norwegian University of Science and Technology (NTNU), which he joined in 2010. He has a background in applied mathematics and is dedicated to interdisciplinary research, with a focus on support structures and the many challenges connected to cost reduction and system optimization. In the Norwegian Research Centre for Offshore Wind Technology (NOWITECH) he is Vice-Chairman of the Scientific Committee and committed to an excellent education in wind energy science.